Do you know that one of the major keyword searched for in Montana is Rocky Mountains? The majestic Rocky Mountains capture attention. It makes sense that live web cams in the Rocky Mountains automatically draws attention. But, the true power of the webcam really hit home when our neighbor was having a heart attack. He is fine now, but his wife asked if I would come be with her while life flight worked on her husband. As we stood next to the helicopter visiting, the pilot kept looking around. We finally asked her what she was looking for. "There is a camera around here somewhere, we use it to make sure we can land in Arlee" she said as she continued to look around. 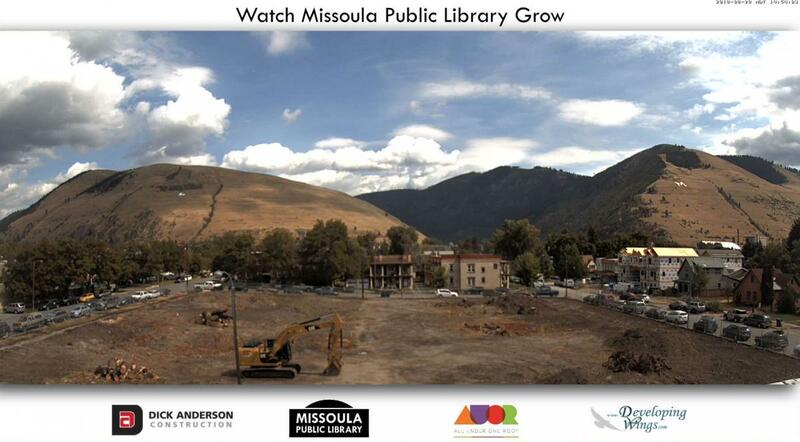 I laughed and pointed to the location of the Arlee Live Webcam. Since then we have heard a thousand different stories My Dad uses the cam to check on us while he is gone. He is a truck driver and likes to see home. My parents live there. My daughter misses home and it makes her feel better. I am thinking of moving there. We are coming to the Arlee Pow Wow this summer. The list keeps growing. Google likes updated content. The live webcam feed is updated every 2 minutes or less, keeping Google's spider very happy. People visit web cams they are interested in. They care about the view, weather the view is of the Rocky Mountains or a construction job. People will come to just check on the webcam. We read from left to right, we put our ads on the left of the images. ​It is amazing how many websites link to live webcams. In bound linking helps with search engine optimization (SEO). The weather tells a story, and that story changes every single day. We share the best images and a daily time lapse. ​The web cam images bring people in that care about the subject matter. ​Sunrises, sunsets, thunderstorms all have dramatic moments. Sharing those moments is fun for everyone. ​Our HD camera quality is beautiful in print as well. ​Have you ever gone to a website in the middle of winter - and they have summer pictures up. Do you wonder if they are closed in the winter? The webcam keeps the website current. Ready to ski? Check the mountain to watch the snow level and catch the sunrise as it lights up Lone Mountain. Or stop by and enjoy the clouds as they dance around the mountain peak. This webcam is available for lease. Montana - Big Sky Country! Enjoy the reflections of Montana's beauty. Images and time lapses are shared online, on Facebook and Instagram. Mountain Press Publishing sharing their view of the Missoula Valley. Seeing the beauty of a sunset from the dock at Tamaracks Resort is more powerful than hearing that Seeley Lake is open. To know that the trees around Seeley Lake survived the fires n 2017 is easy to see… with the webcam. 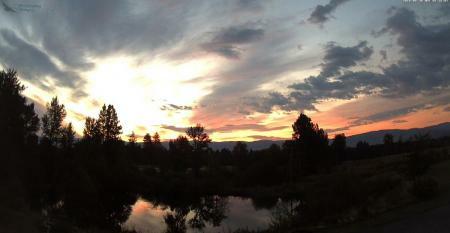 To imagine standing on the dock at Tamaracks Resort at sunset is easy to do… with the webcam. To plan the great fishing trip and imagine you are in one of the boats headed out to enjoy Seeley Lake is easy to do…. with the webcam.